When my wife and I visited the National Museum of the Mighty Eighth Air Force near Savannah, Georgia, we were especially moved by the prisoner-of-war exhibit, with its re-creation of a German prisoner-of-war camp’s barracks. Marlene’s dad, Jim, served in the Eighth Air Force, the “Mighty Eighth,” as they flew missions over Europe during World War II. During the war, the Eighth Air Force suffered over 47,000 injuries and more than 26,000 deaths. Jim was one of those shot down and held as a prisoner of war. As we walked through the exhibit, we recalled Jim telling about the absolute joy he and his fellow prisoners felt the day they were set free. 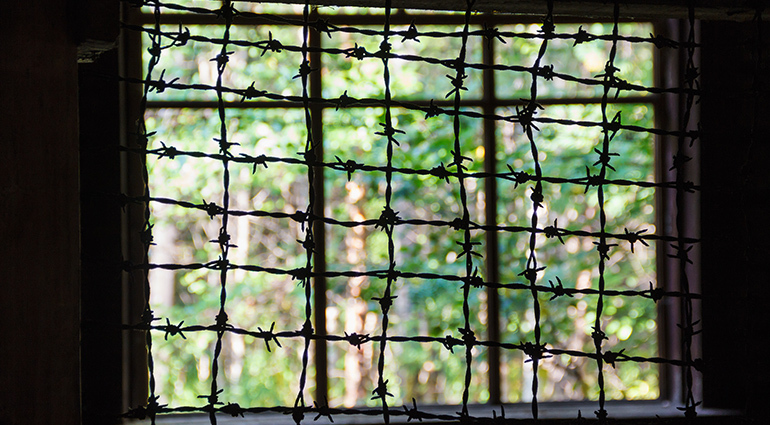 God’s care for the oppressed and liberation of the imprisoned are declared in Psalm 146. The psalmist describes the one “who upholds the cause of the oppressed and gives food to the hungry,” who “sets prisoners free” (v. 7). All of this is cause for celebration and praise. But the greatest freedom of all is freedom from our guilt and shame. No wonder Jesus said, “So if the Son sets you free, you will be free indeed” (John 8:36). Through Christ’s sacrifice, we are set free from the prison of sin to know His joy and love and the freedom that only forgiveness can bring.